Today, our dedicated team of 75 marketing professionals serve thousands of healthcare practices worldwide. Busy doctors trust Vortala to manage their practice website and lead their digital strategy. As a Sales Development Consultant, you are the pivotal link between our marketing and sales teams. Using phone, email, video and social contact, your focus is to connect with warm leads primarily delivered to you from the Marketing team in order to set up qualified sales meetings with dentists and chiropractors. You’re supported by a dedicated team, advanced sales technologies (to automate many routine tasks) and very high-quality contact lists. Talking on the phone with Doctors and Practice Managers to discuss their interest in new patient marketing. Replying to emails from interested prospects to share relevant information (e.g. client case studies) that will nurture increased interest in our digital services. Engaging a small list of cold leads by recording simple, personalized videos that comment on our prospects’ online presence (we’ll train you). Setting up sales meetings for your Account Executive colleagues. Your target is 50 sales meetings/week. Following up with Account Executives to check the quality of sales meetings and make any necessary adjustments to the sales development process. Researching prospects online and in the CRM to share relevant details with Account Executives. Maintaining accurate CRM records (including time tracking) and reporting your efforts and results regularly to your team. Participating weekly in a structured program to encourage your personal and professional development. Other marketing duties as required to improve both personal and team performance. A record of goal achievement in previous sales roles. 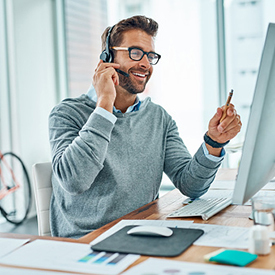 Expert-level telephone skills including experience connecting with cold and warm prospects. Advanced written sales communication skills. Advanced proficiency with CRM software (e.g. Salesforce) and other marketing technologies. Maturity to self-manage and balance personal achievement with supporting your peers to achieve their goals. Experience with digital marketing services and healthcare is beneficial but not essential. This means we’re committed to your ongoing personal and professional development including weekly individual and team development activities and attending the company’s annual retreat in the U.S.